The Westboro Baptist Church is at it again. 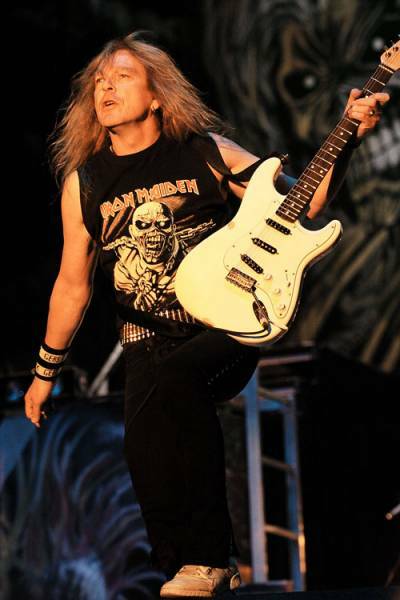 This time, they have planned a massive protest at the funeral of Iron Maiden guitar player Janick Gers. There is only one problem; Gers believes that he is not dead. “The whole thing is preposterous! My pulse is beating….you want to feel it,” claimed Gers to a roomful of skeptical reporters. In spite of Gers protestations, the Internet has been filled with articles about his passing into the afterlife. Facebook has registered over 10,000 “RIP Janick” posts in the last several days. 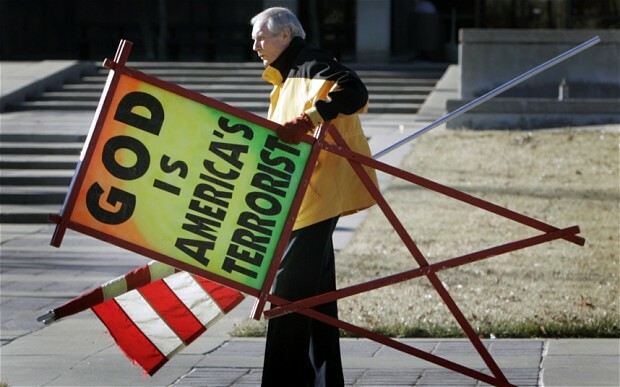 The Westboro Baptist Church has already flown 4,000 protestors to Des Moines, Iowa, where Gers’ memorial service is supposed to be held next week. Yet, in the face of overwhelming evidence, Gers will simply not admit that he is dead. “You have to believe me! I’m alive! ALIVE!!!!! !” howled Gers as he fended off two EMTs who were trying to force him to lie down on a stretcher in order to be transported to the morgue. At a rally last night at The Des Moines Church of Christ The Climate Change Denier, Phelps announced that he had in his possession proof that heavy metal is a Trojan horse being used to turn America into a “breeding ground for the gay way of life”. “In my hand right now is a list of 205 homosexuals in the heavy metal world!” hollered Phelps with his grocery list grasped tightly and held over his head. Many Iron Maiden fans plan to attend the memorial service whether Gers is dead or not. “Iron Maiden is the greatest band of all-time and, even though no one can figure out why they needed a third guitarist, this is indeed a terrible loss, if it is true, which it might not be,” said devout Maiden listener Kent Tekulve, who plans on walking over 1,000 miles from his home in Flagstaff, Arizona to the service.